French: Ecureuil roux; German: Eichhörnchen; Spanish: Ardilla roja. Head and body length 7-9.5 in (180-240 mm), tail 5.5-7.6 in (140-195 mm); weight 7.8-15.4 oz (220-435 g); sexes similar, large variation in coat color across range. Upper fur varies from red-brown or chestnut to very dark in appearance. Fur of some subspecies in winter, such as the Yenisei squirrel (S. v. jenissejensis), Siberia, is an intense bluish gray with dark gray mottling. Ear tufts grow in autumn and are prominent during the winter but are absent during the summer. From Ireland and Britain in the west, across the Palaearctic to Hokkaido in Japan. Deciduous, mixed, and coniferous woodlands, also occurs in suburban areas, gardens, and parks. The species is not territorial but occupies home ranges which overlap with other conspecifics. Core areas of females within the home range are thought to be exclusive in some habitats. Habitat use flexible in large conifer forests with frequent home range shifts by individuals tracking seed crops in different conifer species. Red squirrels are diurnal and active all year. Promiscuous mating system, males and females do not form pair bonds. Breeding starts December-January and continues until early October when the last litters are weaned. There are two breeding peaks within a year; spring (February-April) and summer (May-August) litters respectively. Breeding may be delayed or missed in years with poor food supplies. 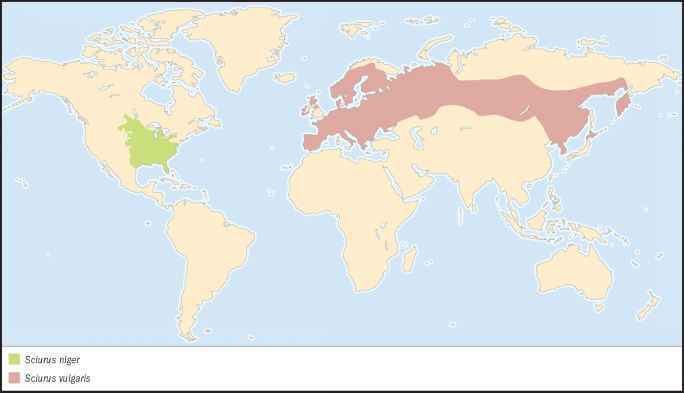 Dramatic range and population declines in Britain, Ireland, and parts of Italy due to competition by the introduced North American gray squirrel. Habitat fragmentation and disease outbreaks such as the parapox virus in England have also contributed to population declines. 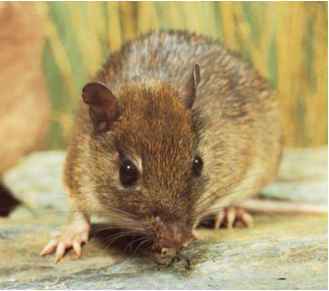 The species is considered endangered in the United Kingdom.